Arles Image Web Page Creator will quickly and easily create image collections on the web. Arles creates high quality thumbnails, modifies images and automatically creates HTML pages. You can fine tune images and HTML pages using one of the many available options or use templates for full control over the pages. Arles supports over 20 image file formats and includes the Arles Image Explorer for easy image management. Text annotations, image logos and image borders (incl. 3D and button style borders) can be added to all your images in a single click. This is not Geocities or whatsoever. There are dozens of gallery creators, some of them free. 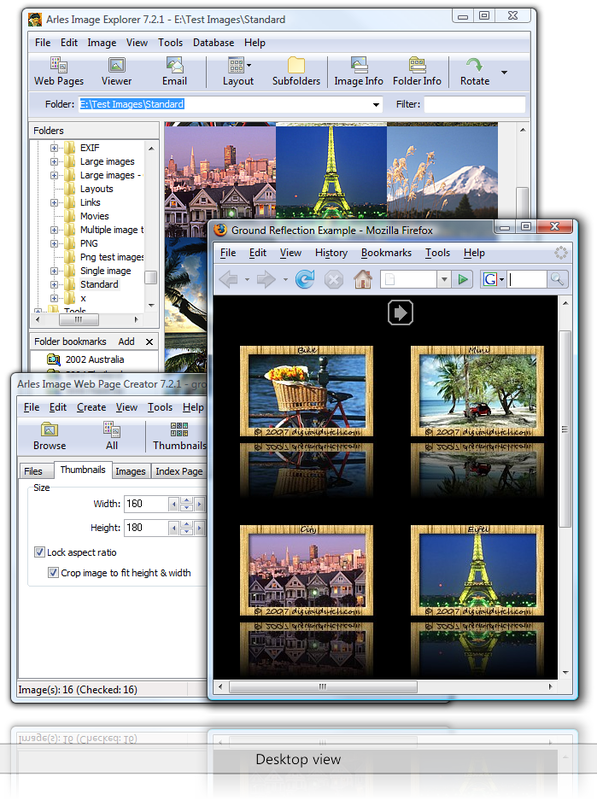 Arles has unique features and outputs highly customizable thumbnail galleries with different layouts. It is a bit expensive though. Very good gallery maker simple to use it saved me hours of work.